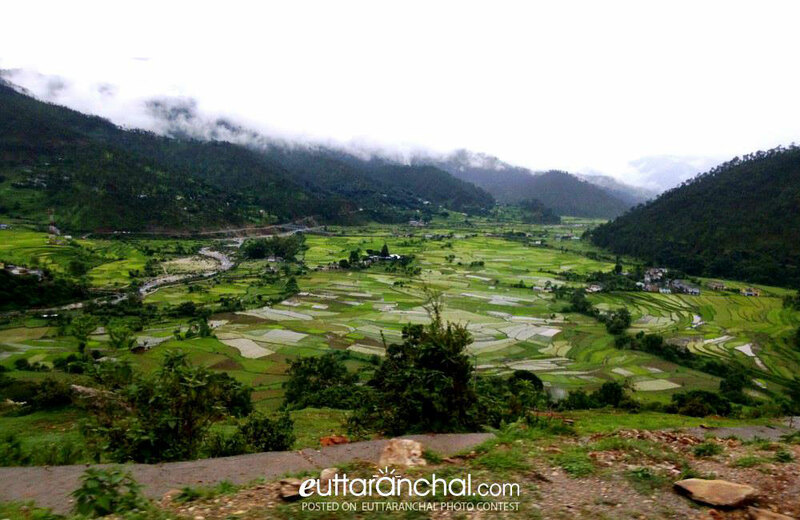 The serene town of Dwarahat is nestled in the ravishing Kumaon hills of Uttarakhand. It is perched at an elevation of 1,510 metres above sea level in the Almora district of Uttarakhand. Dwarahat literally suggests the ‘Way to Heaven’ in local language. It is famous for the ancient temples constructed by the Katyuri kings. The architecture of these temples is similar to that of the Gurjari School of Art. Maa Dunagiri Temple, located at a distance of 20km from Dwarahat belongs to the mountain brought by Pavandev (The god of wind). Every night of navratri is dedicated to nine different forms of Goddess Durga. They are Maa Shailputri, Maa Brahmachaarin, Maa Chandraghanta, Maa Kushmaanda, Skand Maa, Maa Kaatyayini, Maa Kaalratri, Maa Chaamunda, and Mata Sidhidaarti.To reach the Durga temple or Paban Maharaj Ashram on the highway, you have to climb 500 steps on the top of a hill. Dwarahat is popular for a group of 55 ancient temples. It is quite a small place in the centre of Ranikhet and Garsain at the intersection of Ranikhet-Kasauni road and Almora-Badrinath road. Dwarahat is a also a popular centre of education in Kumaon as there is an engineering college and a polytechnic institute at Dwarahat apart from the several schools. You can get both food and lodging facilities in the Ashram. Almora, Ranikhet and Kasauni are visible from the Ashram which also provides an excellent view of the mountain peaks of the Himalayas. Music and dance form part of this festival. Like other places of the Kumaon, Dwarahat celebrates festivals like Makar Sankranati, Basant Panchami, Herala and Bhaitauli, Olgia, Khatarua, Bat Savitri and Ganga Dusshera. Village Tourism: This beautiful Kumaoni town is known for 52 exquisitely carved temples dating back 11th century. Apart from that, one can explore the vicinity that can teach a lot about the culture and customs prevailing in the region. The hilly folks are warm and welcoming and would be happy to share their folklores and stories. Nature Walks: Dwarahat is known for its lush greenery and undulating grassy hills that surround this quaint hilly town. Several walking trails in and around Dwarahat could be explored with friends and family. Due to Dwarahat’s relative unknown status as compared to other tourist destinations, not many hotels and guesthouses have mushroomed here. Only a handful of budget accommodations with limited amenities can be found at Dwarahat. Luxury accommodation with all facilities is not available here. Another option is to find a place to stay at Ranikhet which is at a distance of 33 kms from Dwarahat. Dwarahat is a small town and does not have fancy restaurants international cuisines. The only handful eateries and roadside food stalls in Dwarahat offer popular North Indian and Chinese dishes. Local cuisine is worth giving a try as one can taste all sorts of Kumaoni dishes. The historic coins found in Dwarahat suggest that a tribal group called Kunindas were the first to settle in Dwarahat. The Kunindas marked their dominance over the land, from 500 B.C. to 600 A.D. and declined with the rise of the Guptas. During the reign of the Guptas, art, architecture, sculpture, paintings and literature prospered by leap and bounds. According to the Hindu mythology, Dwarahat was the meeting point or the confluence of the Ramganga and Saryu rivers, but the jealous Kosi river created a feud between the two rivers, saying that their counterpart won't be there for a rendezvous. On the unfolding of the truth, Ramganga and Saryu rivers cursed river Kosi that she will wander alone the rest of her life, while the other rivers will meet each other. That’s why Kosi river flows in the middle of nowhere, joined by no other stream. Festivity is also a part of the culture of Dwarahat as the auspicious Hindu festivals such as Makar Sankranti, Basant Panchami, Harela, Bhaitauli, Olgia (Ghee Sankranti), Khatarua, Bat Savitri and Ganga Dussehra are celebrated with great joy. A couple of fairs are also held at Dwarahat. These are Doonagiri Mela about 52kms from Ranikhet and Syalde Bikhauti Mela which is celebrated on Vishuwat Sankranti day. Dwarahat proudly exhibits a group of 55 distinguished ancient temples. One can savour some refreshing views of the winsome Himalayas bathed by the hues of the sun. The best time to visit this place is between the months of February-April and September-October. What is Dwarahat famous for? Dwarahat is famous among tourist as Temples, Pilgrimage, Education. Dwarahat is recommended destination for Groups, Solo. Dwarahat is popular destination for following activities/ interests - Historical, Pilgrimage, Temples. Travelling to Dwarahat in 2019? Contact us for planning your Dwarahat tour with best travel packages of as per your requirements!